The Csaba Laszlo regime at Tannadice finally ended with a 5-1 defeat against Ross County. A hat trick from former United player Billy Mckay and some utterly shambolic defending saw the end of the Hungarian’s 11 month tenure at Tannadice. 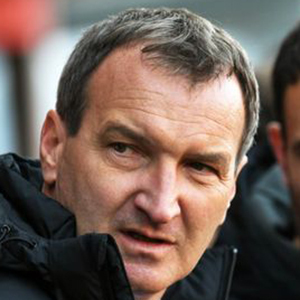 The day after the game, Csaba Laszlo was sacked and United were left searching for their fifth permanent manager in just over three years. For this game, Laszlo kept faith with the same eleven who started the previous week’s 2-0 win over Falkirk. However, the returning Fraser Fyvie was able to take his place on the bench as he continued his comeback from his long term knee injury. 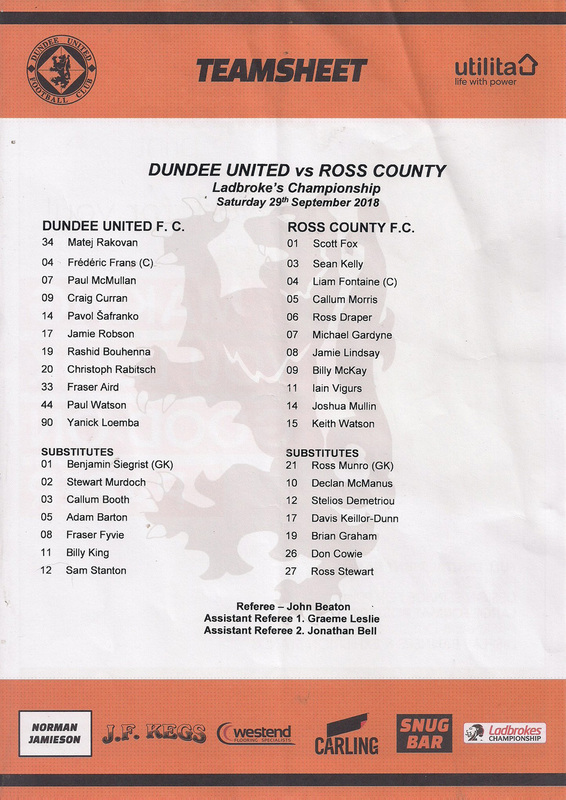 Ross County has a few familiar faces in their squad, with former United players Callum Morris, Michael Gardyne, Keith Watson and Billy Mckay starting the game and Brian Graham on the bench. Dundee United had a great chance to take the lead in the first minute of the game. Yannick Loemba was sent clear by a poor passback attempt from Liam Fontaine and found himself with only Ross County goalkeeper Scott Fox to beat. However, Loemba was to be thwarted as he possibly took one touch too many and Fox raced off his line and blocked his effort on goal. Michael Gardyne’s return to Tannadice only lasted a few minutes as he was forced off by injury and was replaced by Davis Keillor-Dunn. It was a cagey start, but the opening goal came for the visitors after 11 minutes. United were caught sleeping after a quick free kick and Josh Mullin broke down the right. His cross into the six yard box was parried by Matej Rakovan but only to the waiting Billy Mckay a mere yard out from goal, and the former United player was able to knock the ball into the empty net. United nearly went 2-0 down a few minutes later. Josh Mullin was played in on goal by a misjudged header from Jamie Robson. Mullin’s cross towards David Keillor-Dunn was just missed by the Ross County substitute and the chance was gone. United took advantage of their good fortune by grabbing an equaliser in the 17th minute. Fraser Aird hit a deep cross from the right and Pavol Safranko cushioned the ball past Scott Fox from the edge of the box to level proceedings. Three minutes after equalising, United had a good chance to take the lead, and again Fraser Aird was the architect. The Canadian hit a free kick into the box from the right-hand side which was met by Rachid Bouhenna, although he could only head the ball wide. It would not have counted in any event as he was rather harshly adjudged to have fouled his marker. Frederic Frans was the next United player to have an opportunity, and it was almost a carbon copy of the previous chance as the Belgian headed Yannick Loemba’s free kick from the left over the bar. Despite the missed chances, United fans had encouragement after a poor start. However, that was as good as it got for United as abysmal defending saw Ross County score two more goals before half time. The away side went 2-1 up in the 29th minute as a mistake by Jamie Robson again saw Josh Mullin in acres of space on the United left. His cross into the box was parried by Matej Rakovan and broke to Billy Mckay around 12 yards from goal. He stabbed the ball into the net to give the Staggies their lead back. All of the trouble for United was coming down their left, with Josh Mullin given numerous opportunities to get crosses into the box, with a horribly exposed Jamie Robson struggling time and again to prevent him doing so. When Ross County scored their third goal after 41 minutes it again came from that side, although the goal itself was different from the first two. After winning a free kick on the United left, Sean Kelly swung a low cross into the box which evaded everyone, seemed to almost go through Matej Rakovan in the United goal, and went straight into the net at the far post. It had been an awful first half for United, and the second half was to get even worse. Although Csaba Laszlo brought on Billy King for Paul McMullan, it did nothing to stem the tide as the woeful defending continued, and within seven minutes of the second half beginning United had conceded two more goals. With five minutes gone in the half, Billy Mckay was to turn provider this time, as he brought the ball down and broke down the right hand side. He squared the ball to Josh Mullin who was left with a tap-in at the back post that he was never likely to miss. The fifth goal came a mere two minutes later, and was a virtually identical goal, although it was with the personnel reversed as Josh Mullin was this time the provider on the United left, and his cross into the box was tapped into the net by Billy Mckay to give the former United player his hat trick and to give Ross County a scarcely believable 5-1 lead with almost 40 minutes left to play. 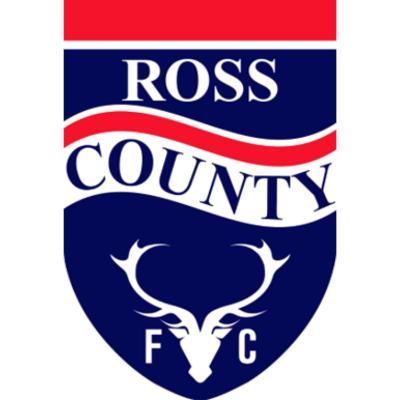 All five of the Ross County goals had come from the United left. There were very few United fans left in the ground after the fifth goal went in, and there was a growing belief that the score would end up being whatever Ross County wanted it to be as United looked utterly incapable of stopping them. The players had by and large thrown in the towel by this stage, knowing that they would be on the end of a heavy defeat. Csaba Laszlo’s response was to use his final two changes by bringing on Stewart Murdoch and Fraser Fyvie for Christophe Rabitsch and Fraser Aird. However, the change was to backfire massively as Murdoch was sent off a mere three minutes after coming on as he got into a tussle with Jamie Lindsay on the United left. The former Ross County defender stamped on Lindsay as he lay prone on the ground, and the deserved red card he received made United’s day even more ignominious. The final half hour of the game was rather uneventful, with the result beyond doubt. Aside from a Fraser Fyvie free kick with 25 minutes left and a turn and shot from the same player towards the end, United did not look like getting back into the game. The away side always looked comfortable, although they did not have any real chances to increase their lead in the final half hour. The game played out in a rather low-key setting and Ross County finished up with an emphatic 5-1 win which took them three points clear of their beleaguered opponents. The match ended in a strange atmosphere with very few United fans in the ground, and those who were there made their feelings clear about the performance and the United manager. Given that Csaba Laszlo’s job already looked precarious, his sacking appeared inevitable after this horrific result and sure enough, the day after the game United announced his dismissal, with Laurie Ellis being placed in temporary charge of the team. After winning at Falkirk last week it is important that we start keeping the three points from our home games. Especially our last game here against Morton when we didn't perform so fantastically and lost two points. If you have this kind of game when the opponent goes in front very quickly and in the end. you make it 1-1, you are not satisfied, because we were in the attacking shape for 80-90 minutes. Goalkeeper Matej Rakovan didn't realty have anything to do. But it is difficult: if the opponent is just defending, maintaining 11 people deep. We deserved more than one point. The win at Falkirk last Saturday was just the beginning and stowly we will get better and better. If I am being honest this is the fifth game in a row we haven't lost. I know we dropped two points against Atloa and against Morton but we must respect the opponents, too. In every game but we have to respect if a smaller team picks up points. You don't win any games in the Scottish Championship without fighting, desire and sweating blood. If you want to win these games you have to sweat blood and this is what the team did on Saturday. I think the fans appreciated the job we did. Every time, if you take three points, I think you prove a point think only one team would've been blamed if they didn't win and that is Dundee United. Falkirk have not won any games and we stand under the pressure so far. If we didn't win that game everyone would have pointed at us and said we did the same at Alloa and didn't take the game seriously. In my opinion, the most important moment of the game was the whole team, the staff, everybody applauded and with the supporters at the end and they leave the stadium with a smite on their face. To have nearly 1,000 away supporters after drawing at home last weekend was brilliant, they deserved to leave the stadium with a smile on their face and back to Dundee. After the three points that was the most important thing. It was frustrating to have to leave out Fraser Fyvie who couldn't play because of the pitch We also have to accept, though, that he is someone who has been injured long-term. It has not just been an easy injury. It is not one that takes a little time to recover from. Psychologically, you must be ready for this kind of match. As a manager, you have to accept it when a player says: This isn't the best game for me. For that reason, he didn't play but he thankfully will be okay for the Ross County match. Fraser showed how important he is when he did such a very good Job when he came on against Morton and there is now doubt that we need him. And that applies to all the others coming back from injury. Sam Stanton should be fit enough to sit on the bench today, while Stewart Murdoch and Nlcky dark will hopefully return shortly. 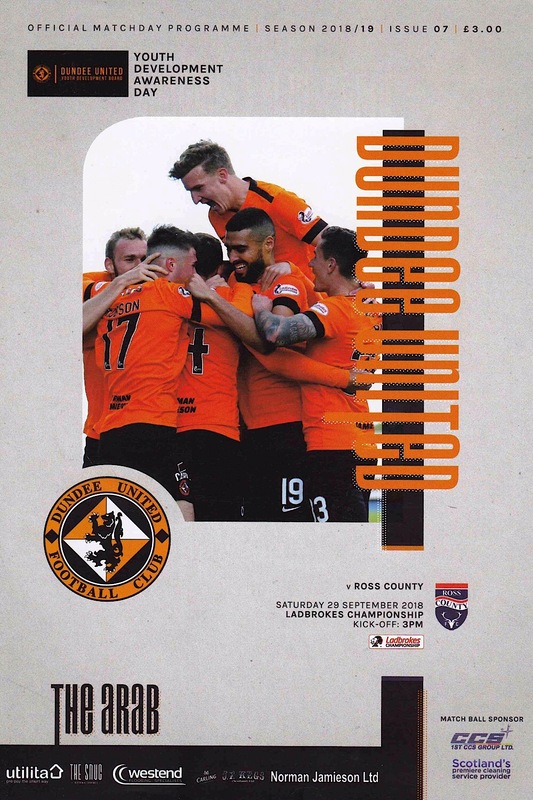 This afternoon we welcome Ross County, who only defeated us by a late goal in the League Cup after we had Just missed a penalty, so we think everybody know: that with County having just been relegated from the Premiership, they are a strong and experienced side. That means we will have to concentrate fully for the whole game. We hope, being at home, we can collect all three points and extend our unbeaten run and improve our home record. It is important that we improve that and it is time to win again and send them home happy again. We need the fans behind us. 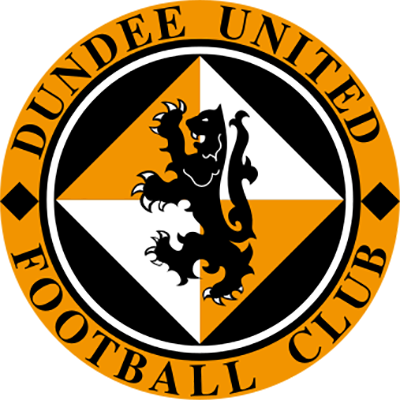 The players do not play just for themselves, they play for Dundee United as a whole and that includes the supporters. Sometimes you have good days and sometimes you have bad days but I know that this team will do everything for the club. After the Morton game I was sad and not satisfied with the result but I was satisfied that the players fought right to the end. I think the fans can recognise that they have a team on the pitch that will fight for results. Dundee United will always be a big club with tradition and we have a wish to be in a different league. It has been so long without us there and we want to go back.